A very attractive hole in every way in an idyllic setting. 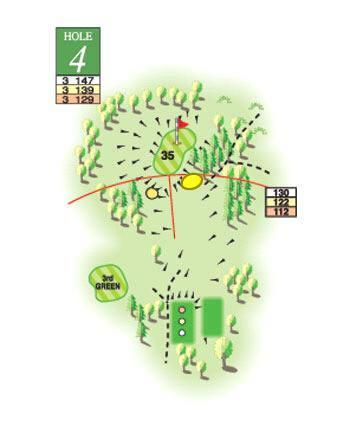 A precise tee shot is required to avoid the bunkers as well as the slopes and trees on both sides and bushes behind. A sloping contoured green demands a controlled approach putt. Not a green where putts are readily conceded.